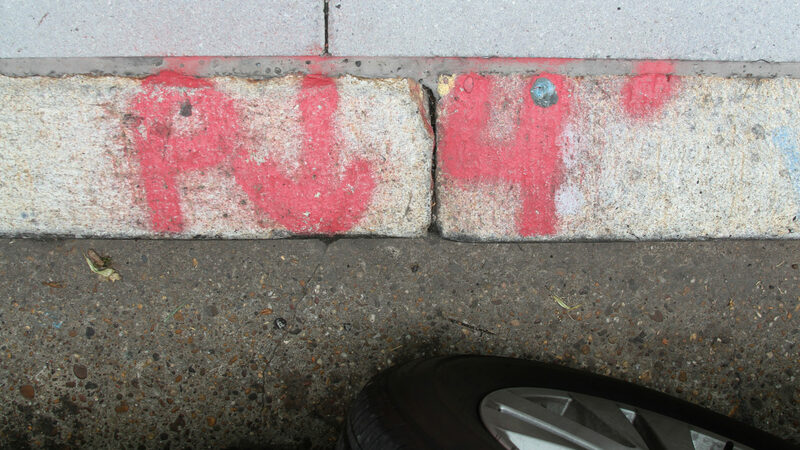 Fascinating account of those colored paint codes at excavation sites. Who knew? Every color, every seeming scrawl, has a meaning all its own. Click on links for more details. Story from the website of WAMU, affiliated with National Public Radio and American University in Washington D.C. 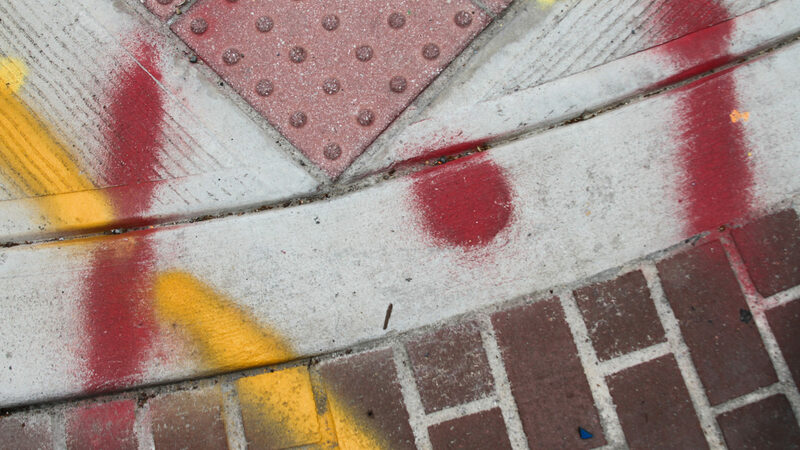 Seeing these pavement marks for decades reminds me of what U.S. Supreme Court Justice Robert Houghwot Jackson, our prosecutor at the Nuremberg War Crimes Trials, once said to his law clerk about a pile of books he'd assembled in research: "But what does it all mean?" 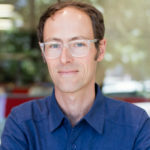 WAMU ably answers the question. Stride with confidence. All that stuff underground probably won’t blow up. 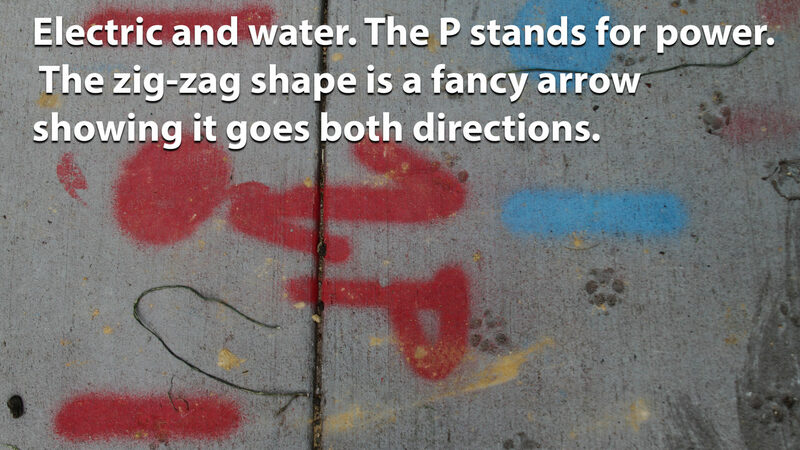 If you start looking for painted utility marks on sidewalks and streets, you’ll notice them everywhere. 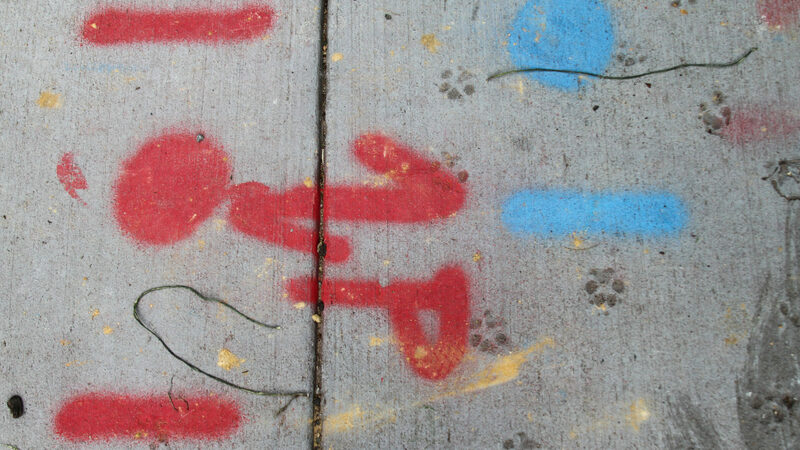 Just do it: walk outside and look down. 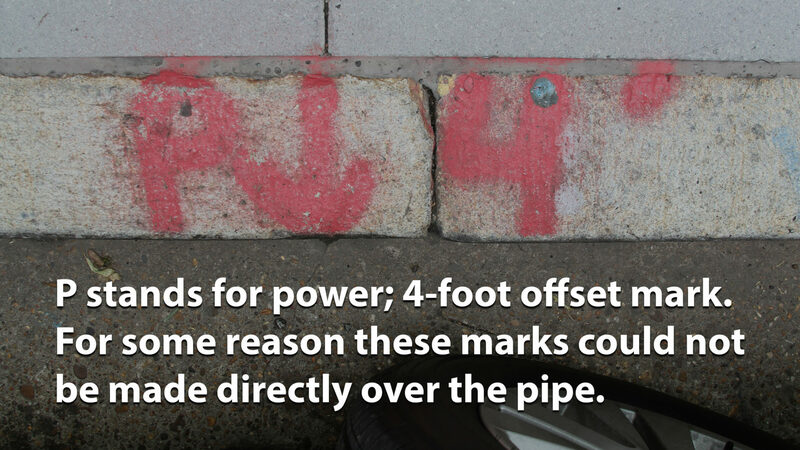 He calls these ubiquitous marks “utility graffiti.” While they may seem unsightly, they’re part of a system that keeps us all safe and prevents damage to the vast network beneath our feet. To understand the origins of this subterranean language, we have to go back to Prince George’s County, circa 1960. Levitt and Sons, the pioneers of postwar suburbia, were working on a huge new 10,000 home development in Bowie, Md. They built entire communities like an assembly line. “The way they developed was they clear-cut the entire property,” says Tom Hoff, who worked for the local telephone company. After the clearcutting, each utility would come in and lay down its pipes or wires. But there was a problem: there wasn’t a good system for keeping track of what was already in the ground. “What would happen is that the water and the sewer would go in, and then the telephone company would come in and cut the water and sewer,” says Hoff. 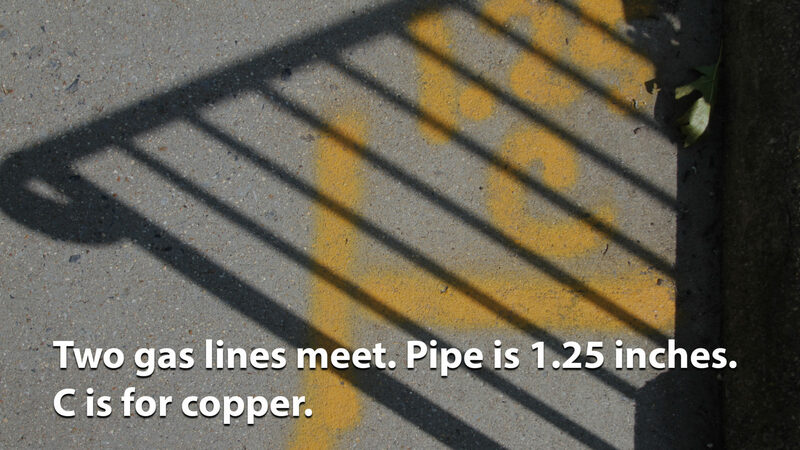 The water and sewer utility would come back to fix their pipes, and accidentally cut the phone line. They got together around a conference table and came up with a solution — one phone number that anyone digging up anything could call. 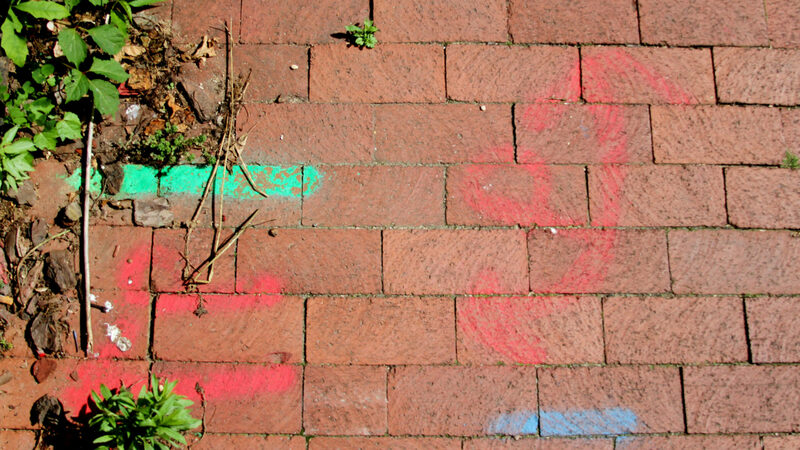 The utilities would then come out and mark their underground pipes with paint, so whoever was doing the digging could easily avoid them. It was one of the very first systems of its kind in the country. “The business case was obvious,” says Hoff. “It’s cheaper to do something once than six times.” Plus, it could prevent disaster. In the mid-seventies, an entire city block in California was engulfed in flames after a road crew hit a gasoline pipeline. The one-call system continues to this day, and it’s national. Now, the number to call is 811, no matter where you are in the country. Hoff went on to found a company that runs 811 call centers, including on outside Baltimore that fields 85,000 calls a month. 811 is a free service, and you’re supposed call before you do any digging, even something like planting a tree or putting in a fence in your yard. 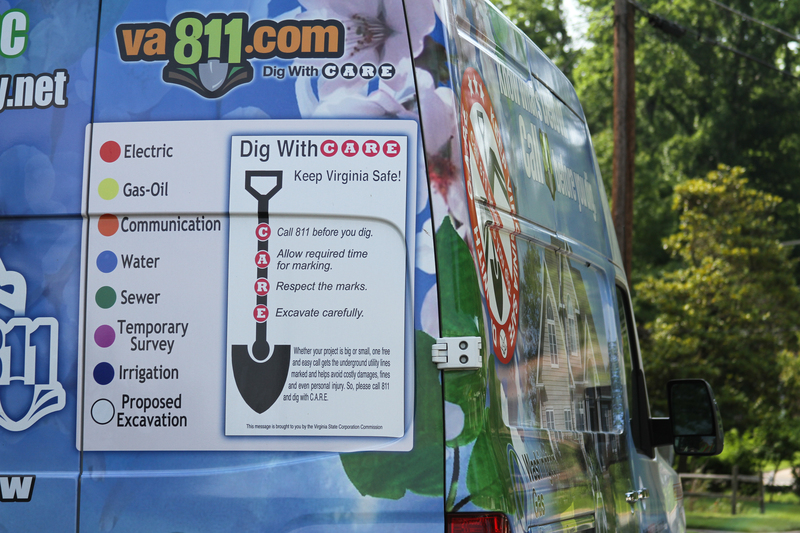 From the 811 call center, the your info is sent out to all utilities in your location; they have 48 hours go out to and mark with paint everything they have underground, so they know where not to dig. Even after one-call systems started popping up in states around the nation, there was still some confusion around what each color meant. James Attebery was chair of a utility committee for the American Public Works Association in the 1970’s, when he got a phone call from the city engineer in Albuquerque, New Mexico. 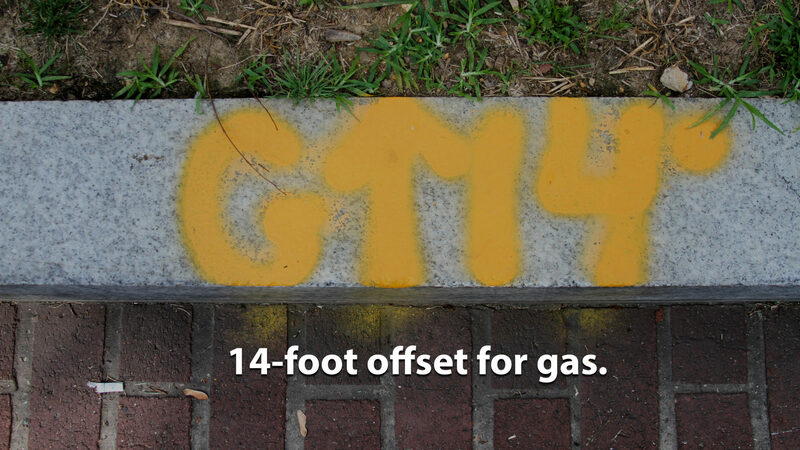 “They were doing some work there and he wanted me to give them the color codes for the different utilities in the right of way. So I said I’d get right back to him. I thought we had that somewhere in the organization,” says Attebery. But it turned out there was no uniform color code. So Attebery and his committee came up with one. The colors are still in use today. “They were simple. We didn’t go into a lot of fancy stuff,” Attebery says. “We went with very simplistic colors.” No mauve or burnt umber. Accidents do still happen — causing more than $1 billion in damage a year — but it’s much better than the chaos that existed 50 years ago. 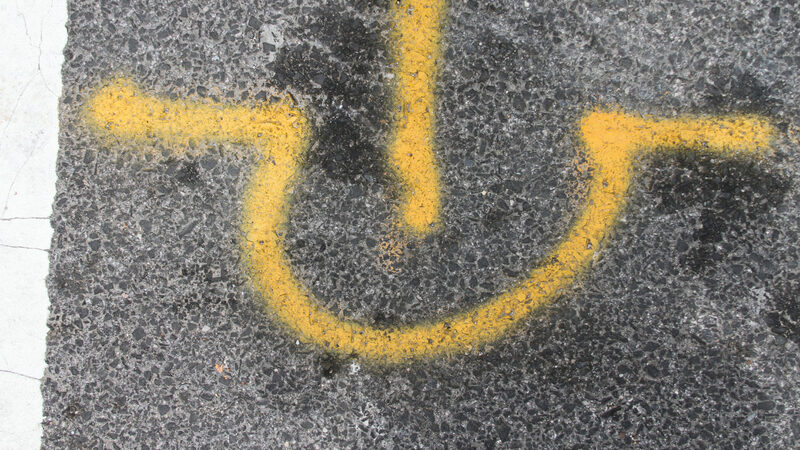 There’s an entire industry devoted to locating and marking utilities. It’s called damage prevention (and it even has its own beachside conferences). 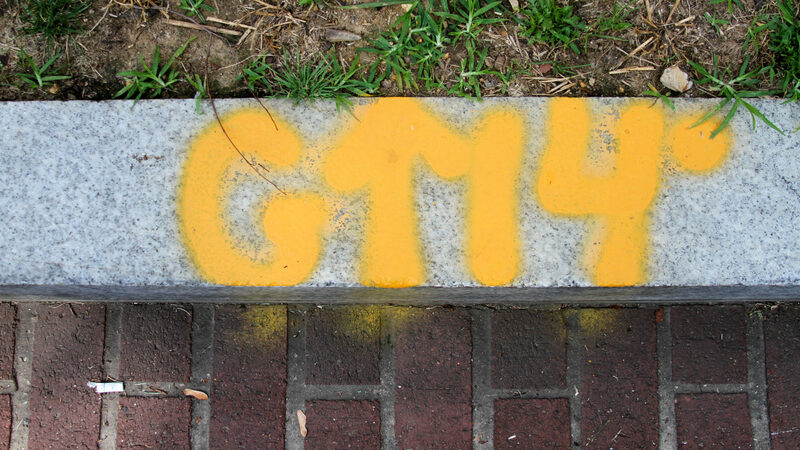 There are hundreds of people painting sidewalks and streets every day in D.C., Maryland and Virginia. 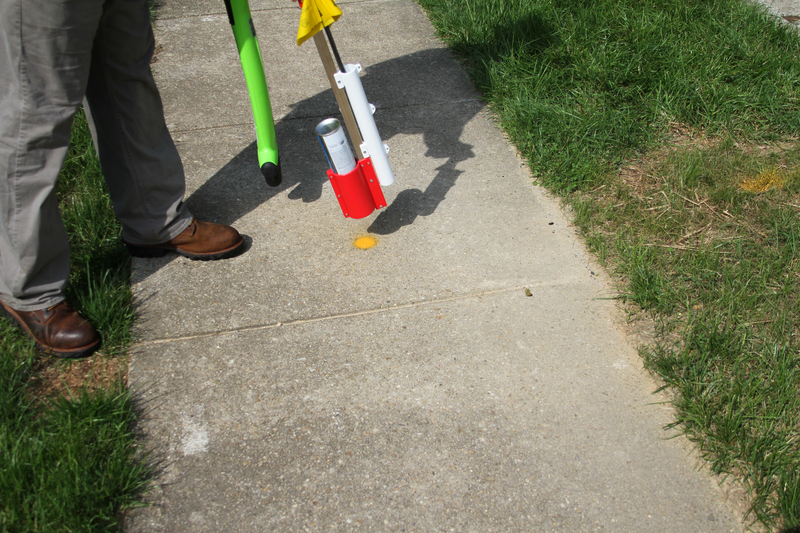 Joel Troxell is an operations manager for UtiliQuest, a company utilities hire to locate and mark their pipes and wires in response to 811 calls. 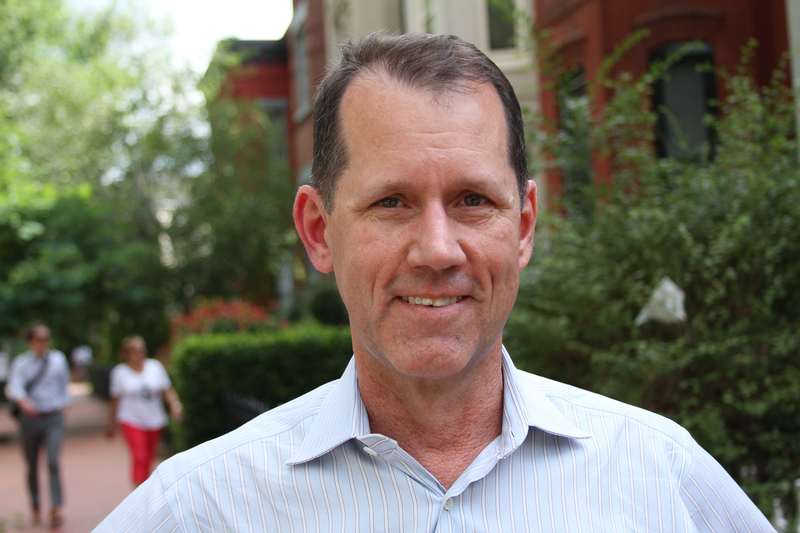 “Right now with the interest rates and the jobs, there’s people building,” says Troxell. 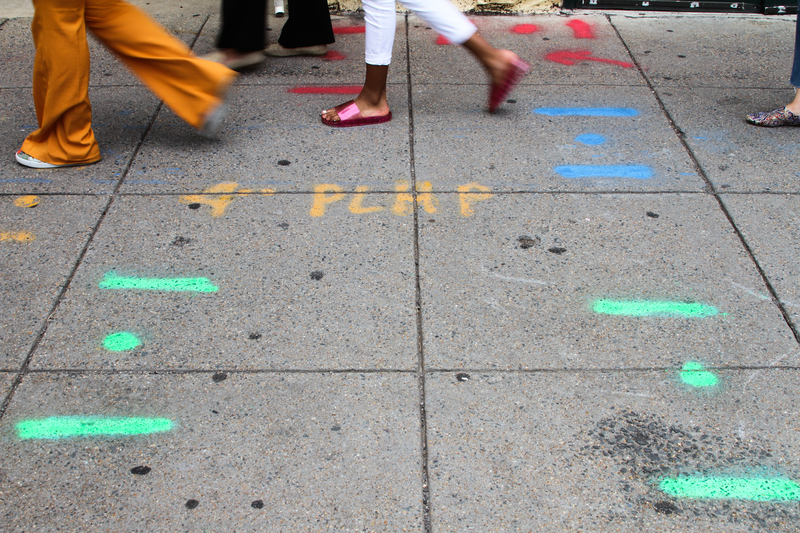 “The economy is doing well, so excavation is up.” More excavation means more paint on sidewalks. 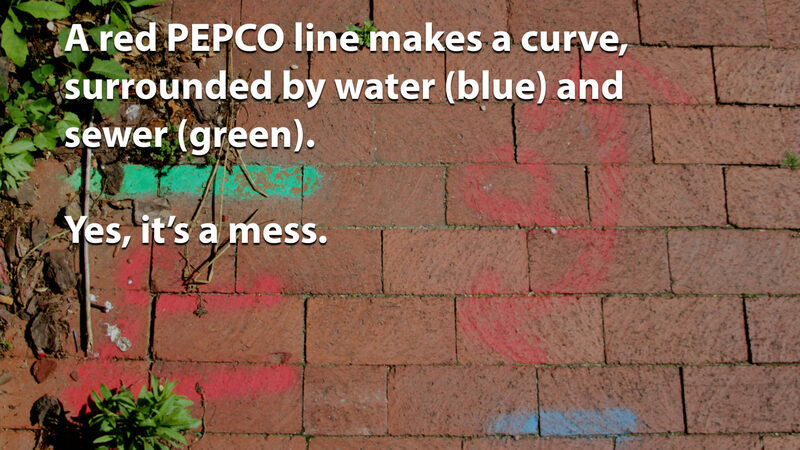 Another reason there’s so much paint: there is much, much more going on underground than there used to be. When Maryland’s one-call system got started in the 1960’s, there were six utility companies on board. Now there are hundreds. 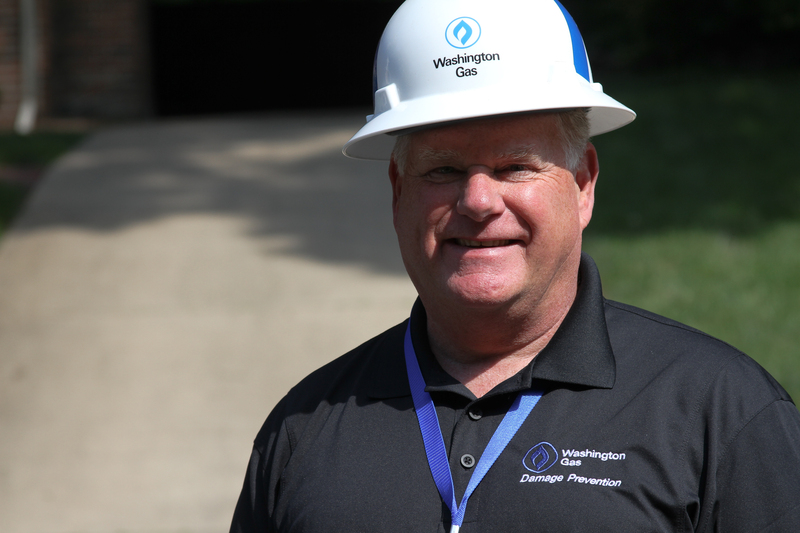 Scott Brown is manager of damage prevention for Washington Gas. 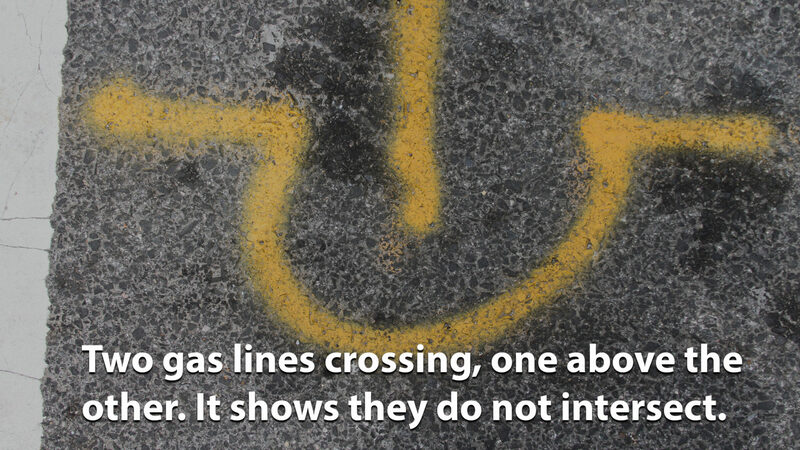 “There’s water lines, sewer lines, gas lines, power lines, telephone lines, cable TV lines. Then especially in our area, we have dark networks: cables that go between buildings that serve the government,” Brown says. 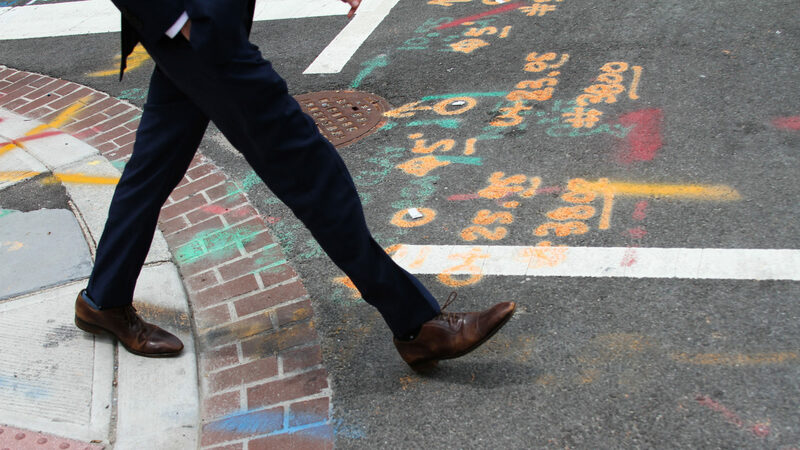 Some casual observers, including Ned Cabot of Capitol Hill, know the paint is related somehow to utilities and excavation, but are puzzled when that particular stretch of sidewalk is not dug up. 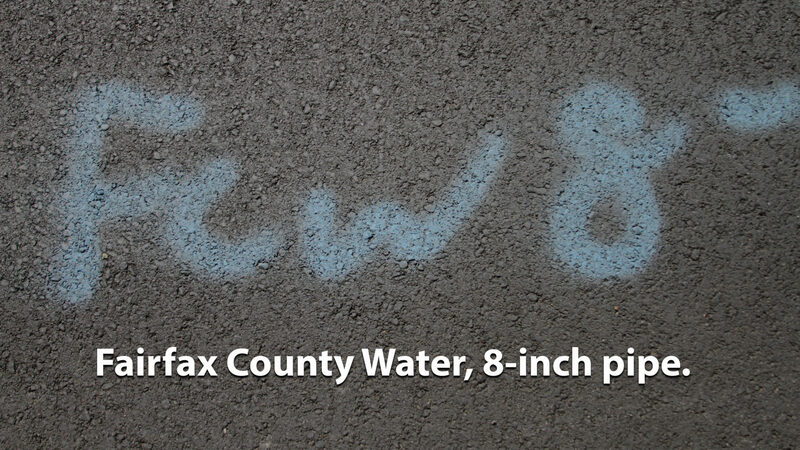 The reason is that utilities mark a much larger area than is actually excavated. 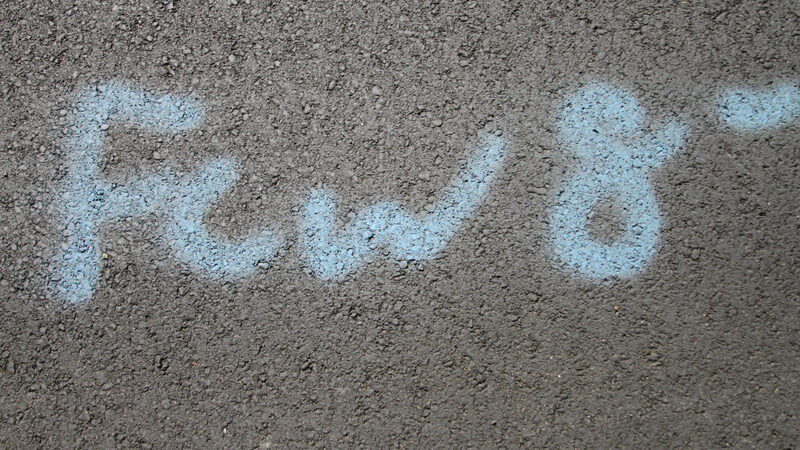 A sidewalk will often be marked for a project that is happening entirely in someone’s private yard. That seems to be the case on Cabot’s street, where a house a few doors down is under construction. “This house, they excavated the basement, so maybe that’s it, they came and marked all this stuff for a project which is basically just the house,” he says.